3D Printed Hardware and Parts. I searched but did not see any topics for 3D printed parts, planes, etc. Though I have been blind to things in front of my face before. So forgive me if its been done before. 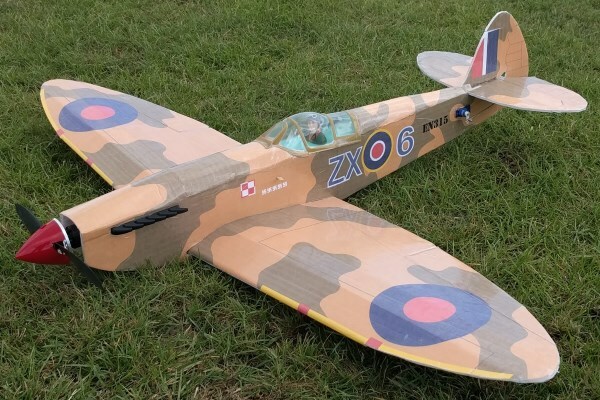 I thought it would be great to have a thread for everyone to share their RC related 3D models, or even just cool things they have found online that may be useful to others. I have a few models on Thingiverse I recently uploaded, but 2 of them I would like to throw out into this forum for people to test out if they have access to a 3D printer. The Skewer Pushrod Fitting. Have not tested in flight yet, but seems to work well on the bench. 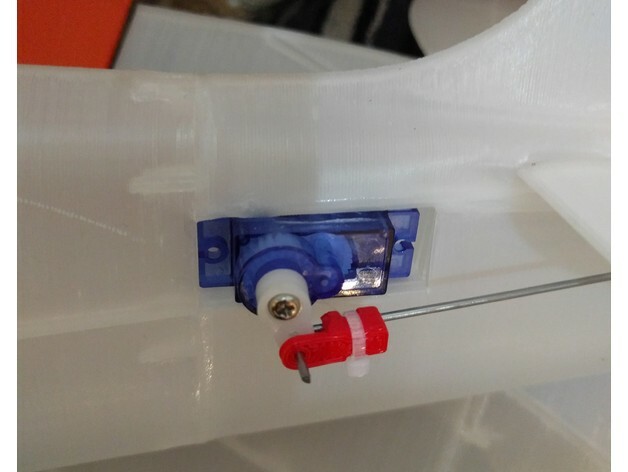 And the Servo Mounting Clip. This one was already shared in my hello message in the new section, but I thought it was worth sharing in a normal thread also. Let me know if you test out any of my parts and how it turned out for you. Now here's a few Things I found that I think are impressive that I didn't model, but will probably print. Landing gear bracket. Simple design using zip ties, Its perfect. 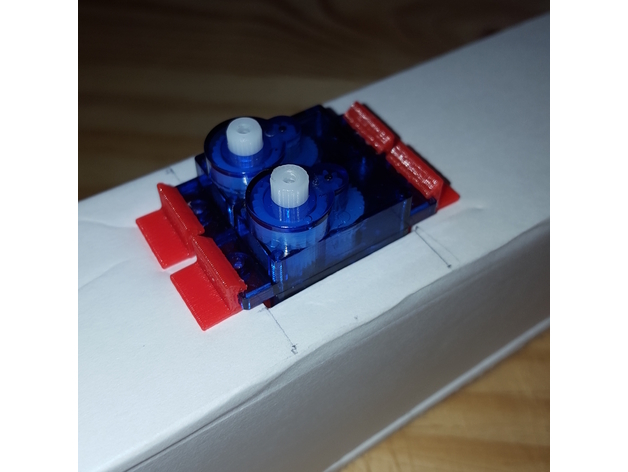 RC Switch Lock. I always use a throttle kill switch. This is perfect for it. FT Transmitter limiters. I thought it was cool someone modeled them. Gotta have a pilot for any open top aircraft. Please share anything you've made, or just really like. I have a few more models I am working on that are new ideas I will probably share here in the near future. 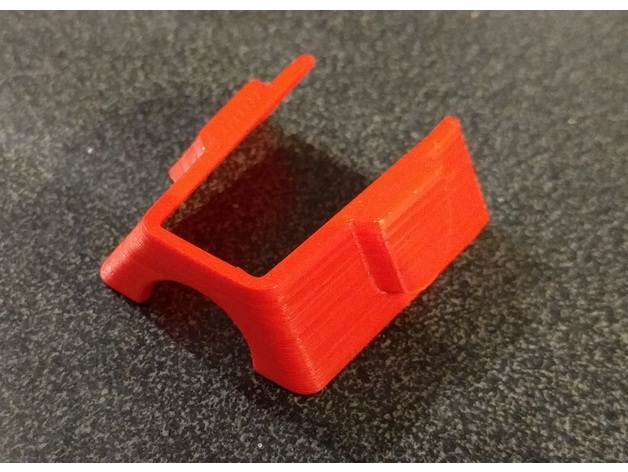 Interesting idea for the servo mounting clips... might need to try that out. Not quite in the same vane but I wondered if I could print a scale 9 cylinder radial with the outrunner hidden in the crankcase. It actually ended up rather as a kit of printed parts (38 in total!) that took quite a bit of gluing together but the end result makes my 3/4 size Depron Ballerina look quite 'agricultural'. That looks great! Are the files available online somewhere? Thanks, I've been using them in my last few builds and I love them. Oh I like that Snoopy pilot, more fun then what I was planing to use. Quorneng that came out great. Lots of models are printed in pieces. Its the end product that counts, and that looks awesome. I've got some other parts to add, but they are not on Thingiverse yet. Definitely going to print as set of the pushrod keepers for my projects. 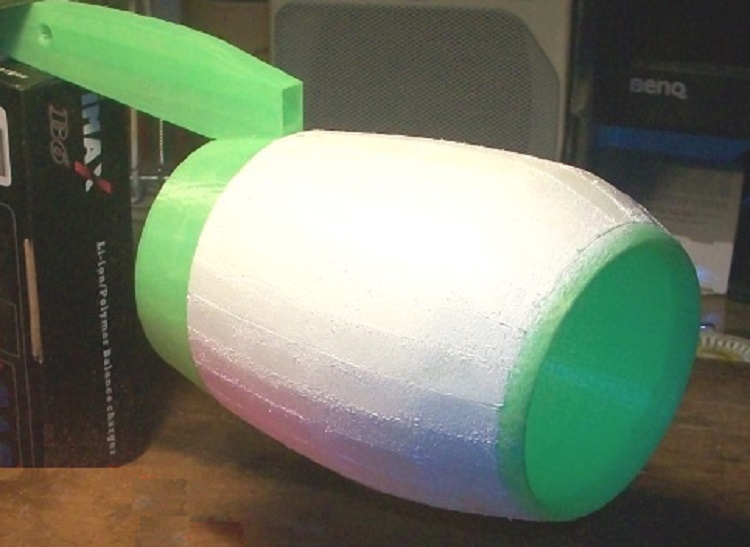 I experimented with making a 3D printed power pod, but I found a lot of my plane designs required constant reworking of the pods internals to balance out etc. Overall I have stopped using power pods for now, but what you have for your battery holder looks like a really good idea. 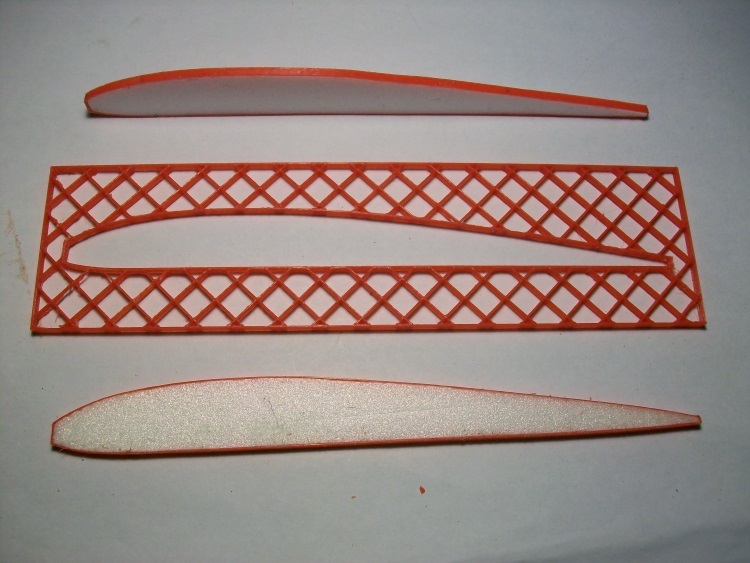 For an experiment I did 'print' some wing ribs or rather printed cap strips. A fully printed rib was heavy and actually much to strong for the loads involved so my solution was to just print the cap strip as a single piece but tot he correct profile, in this case using Clark Y coordinates although the same process could be used to create any wing section. Using the same profile incorporated into a jig it is used to cut out 3 mm Depron wing ribs which exactly fill the cap strip outline. The resulting rib is light, structurally efficient and not to tedious to create many all exactly the same. 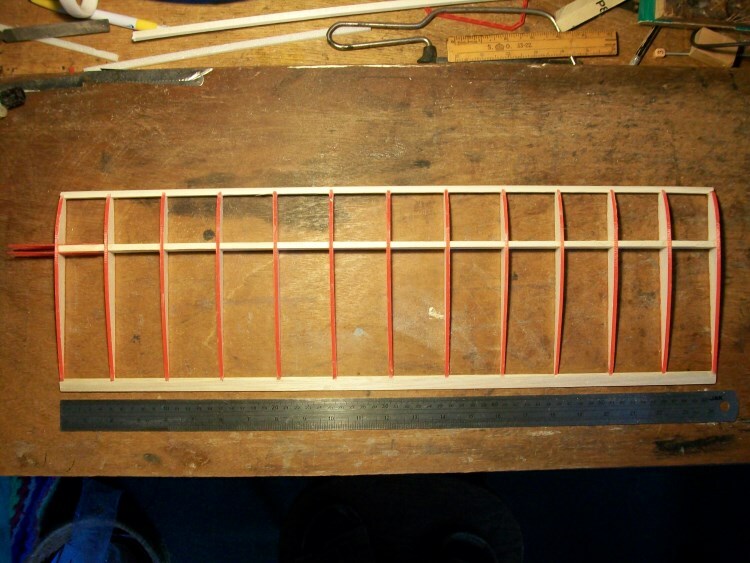 Another jig was created to cut a slot in the Depron so the ribs could be slid over a spar. 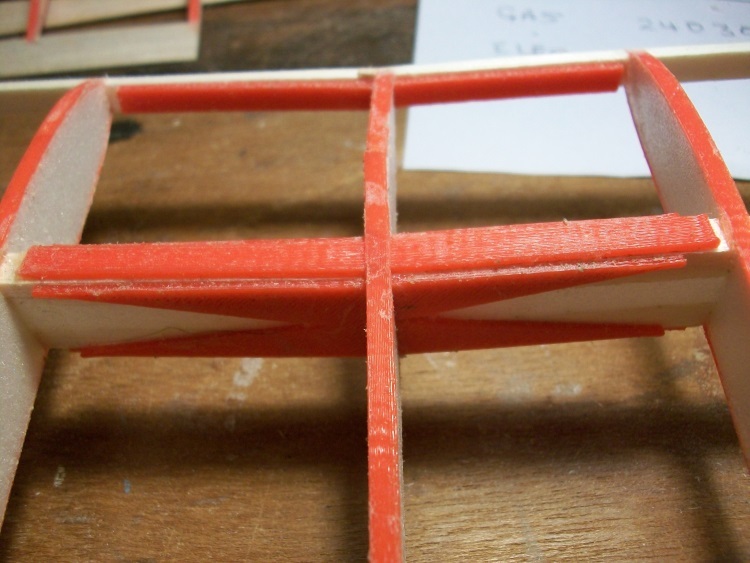 Balsa leading and trailing edges were added along with spacial ribs to create the ailerons. 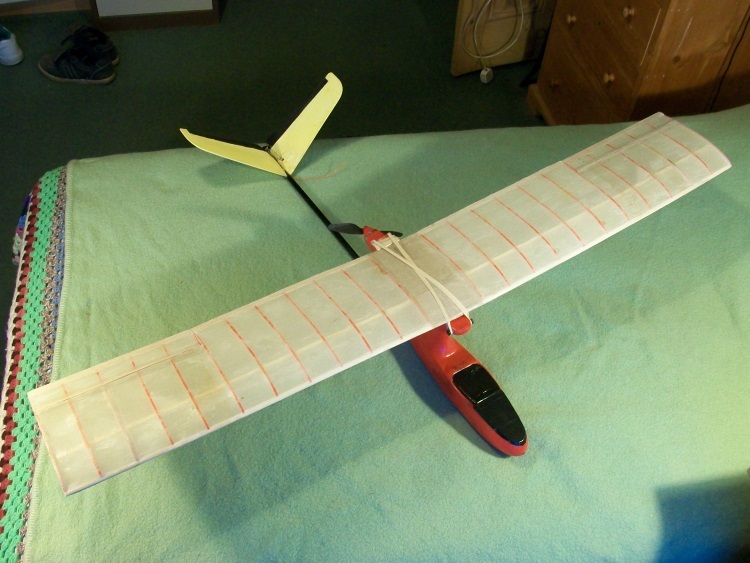 Each wing panel is 24" long joined at the center with a 3 part printed dihedral brace. The result is a conventional built up wing that can be tissue covered. As rib cap strips completely surround the ribs none of the Depron touches the tissue so it can be doped. (Dope dissolves Depron). 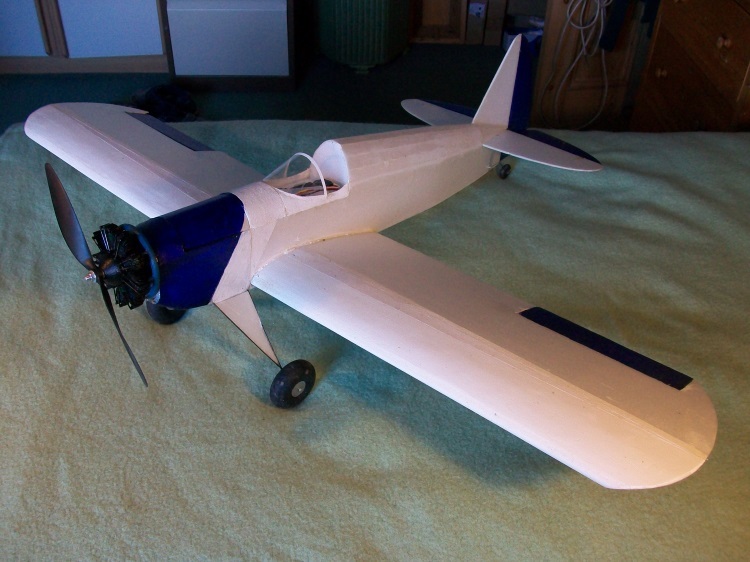 The completed 48" wing mounted on my old wing dragon test plane. Really more of an experiment than creating anything significantly stronger or lighter but it certainly flies well. Thats really a good idea though. I was messing around with 3d printing wings but even with a wall of 0.4mm and a 8% infill the sections still felt too heavy to me. 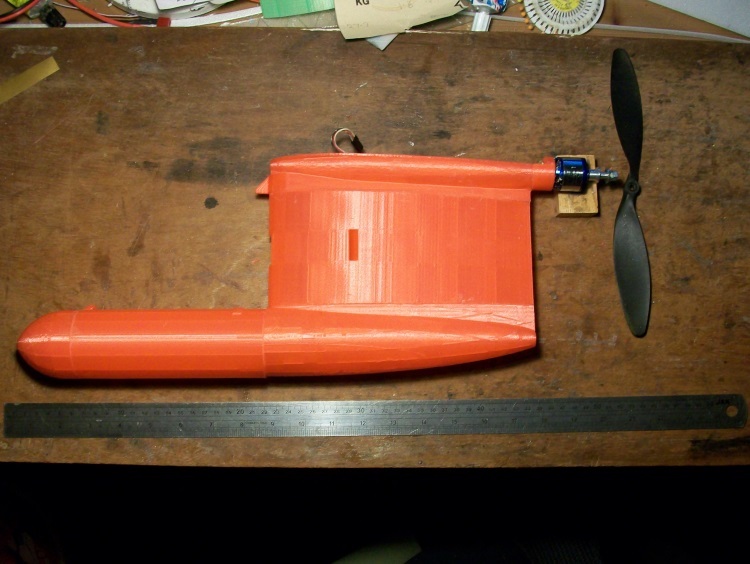 My current idea is to print only a fuselage and use foamboard for the wings, rudder, and elevators. this should keep the weight down, and allow for easy modification to the wing design. Just a thought at this point. For anyone breaking the plywood firewalls, there's a great design for a 3D printed firewall for the swappables. I've printed a few, repaired the nose damaged powerpods I have, and back in the air they go! Check this one out, it's a keeper. I use those firewalls as well. They're great. I'll have to look into the servo clips. Seems handy. I print a lot of control horns as well. Don't have the link but they are easy to find on thingiverse. 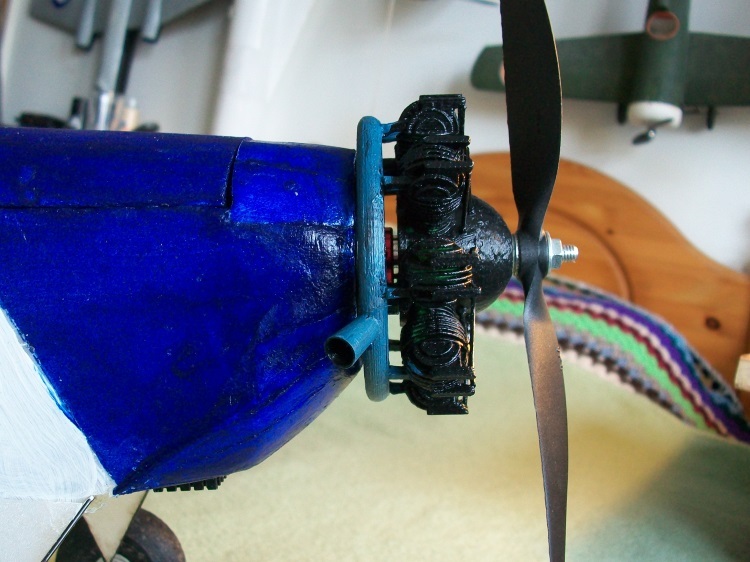 To my way of thinking 3D printed parts are undoubtedly quite strong but are relatively heavy, particularly when used as say the covering of a plane. My solution is to use 3D printed parts only where the strength and accuracy is important but use more conventional materials for everything else. I recently crashed (for about the tenth time!) 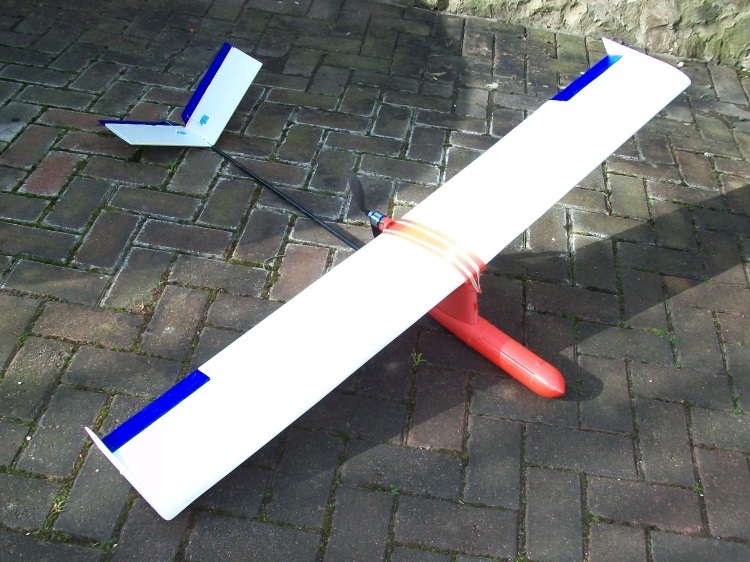 my 6 year old 60" Depron & balsa 'pod and boom' pusher plane although all the electrics and the glass fibre boom survived. 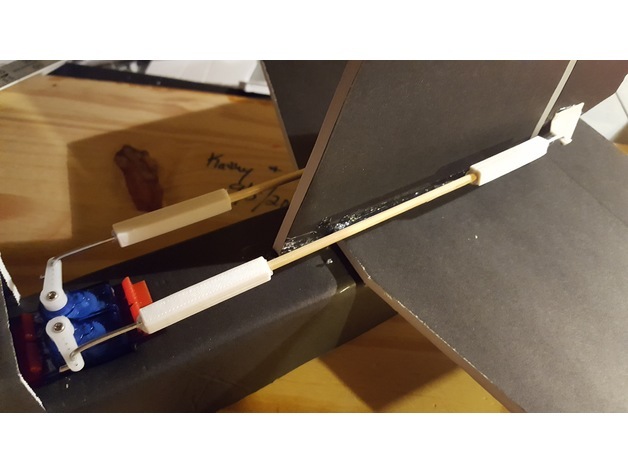 The fuselage pod and wing pylon are quite highly stressed so it seemed logical to print that where as the wing and tail would remain a Depron & balsa composite. The pod and pylon together are too big to print so it ended up in 4 pieces with the joints positions carefully chosen to give large flat area suitable for gluing . The nose section houses the battery. The fuselage pod and pylon complete. The ESC is housed in the wing pylon with built in cooling ducts for it. The rx is mounted in the pod under the pylon. The wing is fairly conventional although the ribs are 3D printed using a braced structure with a thin all over 'web'. At 26 oz (740 g) with all the same electrics and 3000 mAh 3s LiPo it is some 2 oz (60 g) heavier than the earlier Depron equivalent although it probably has better fuselage streamlining. 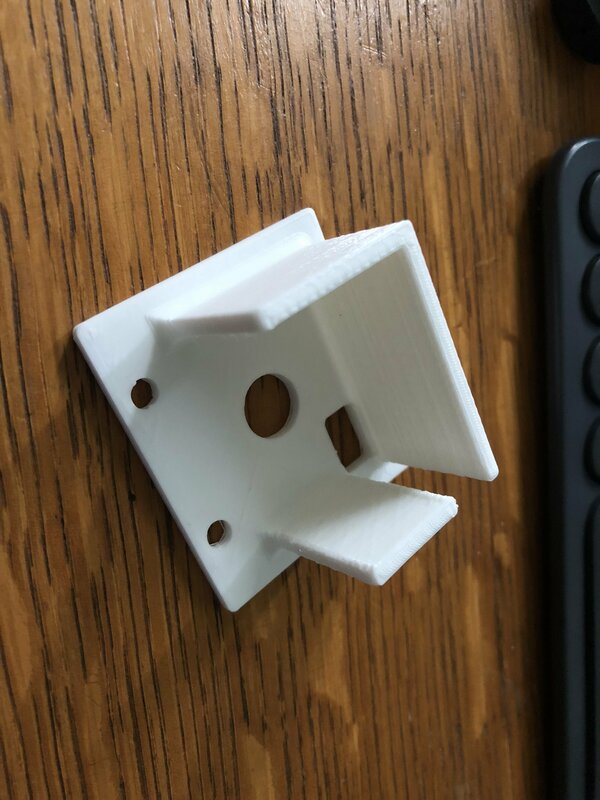 An interesting exercise but printing major parts like this is time consuming both to design and print and it only really makes sense if more than one example is required. I don't have them on thingiverse but I could upload them if needed. I personally think printing 'parts' is the most effective use of the material and the technique. To keep weight within bounds large areas have to be printed very thin which means it cannot really be load bearing as it is structurally very weak in compression without a complex support structure which adds to the weight. There are other materials that are much better suited. So IMHO where printing does work well is for relatively highly stressed parts that have a complex shape, that needs to be accurate and in some cases easily reproducible. 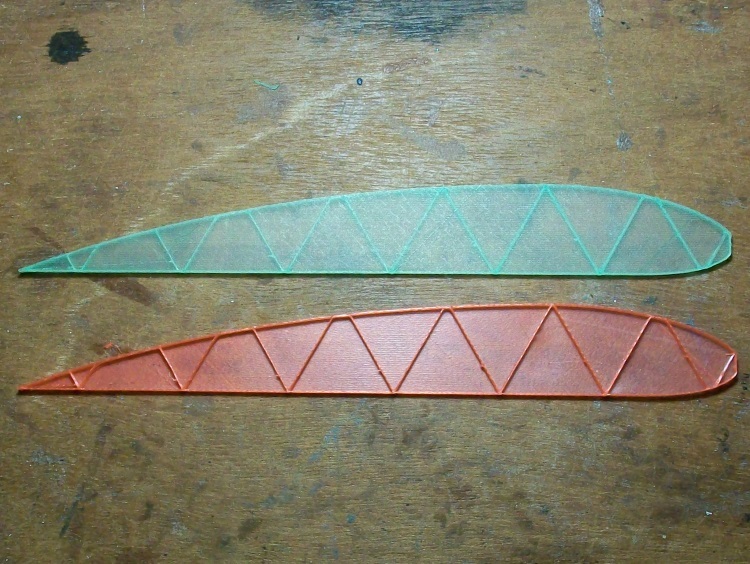 It is also possible to glue parts together to create shapes that cannot be printed in one go. This is my most complex bit so far - the inner component of a scale RR Trent nacelle for an Airbus A350 airliner. Not actually an EDF but it uses a racing drone motor driving a ducted 3" four blade prop. 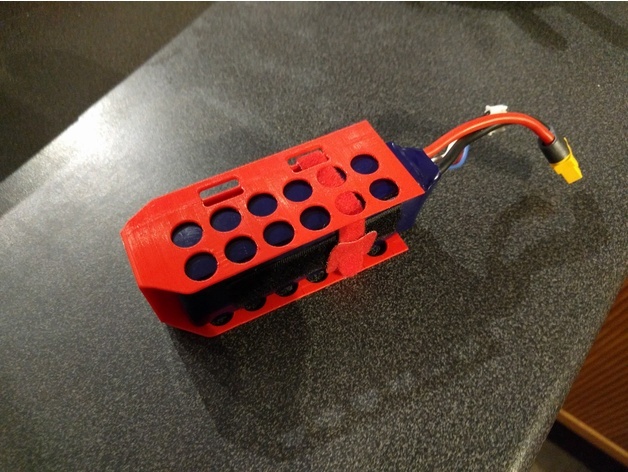 Glued together from 9 individual parts It incorporates the motor mount and inlet bell mouth. The nacelle pylon is hollow to carry the motor wires up into the wing. 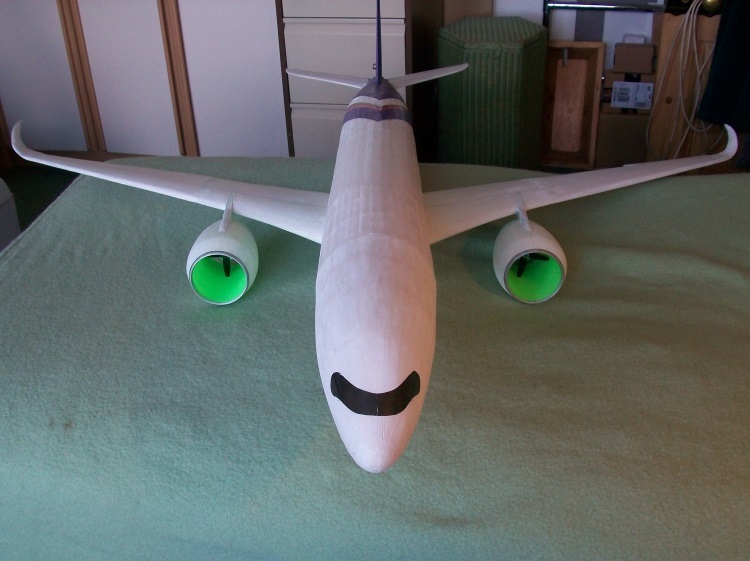 The nacelle outer profile is planked in 2 mm Depron. As is the rest of the air frame. 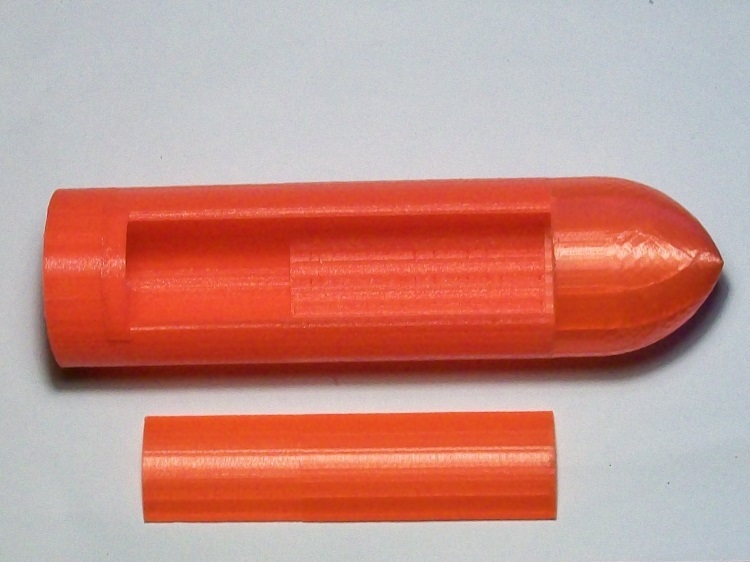 Being able to print two identical nacelles is an obvious advantage for a twin engine plane. That is one beautiful looking Airbus! Nicely done! !